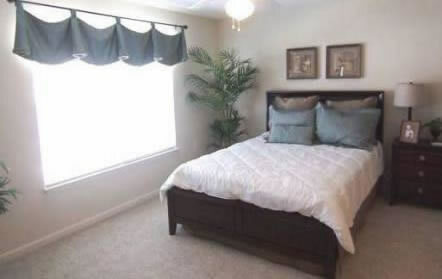 This condo model in Greensboro, NC now has an inviting luxurious look! 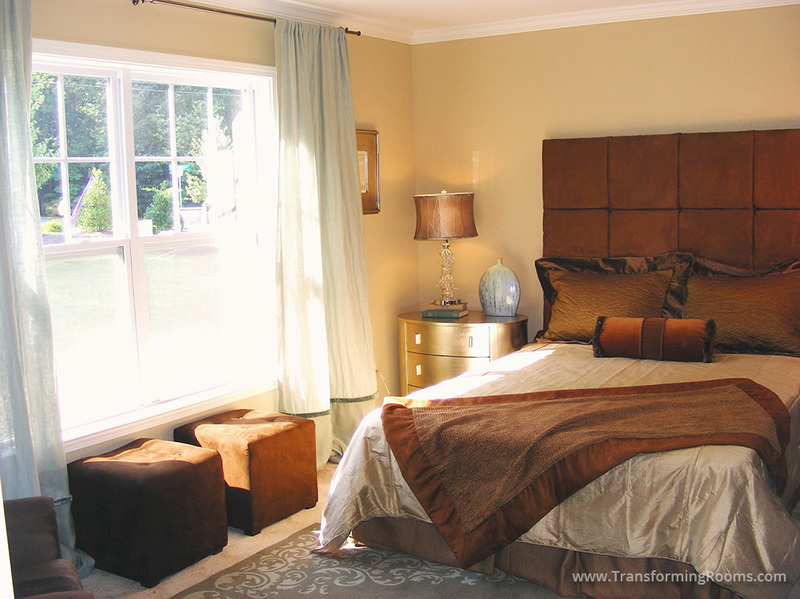 Before, the prior design firm's valance made the ceilings feel low, and the furniture looked mundane. In the after, (our redo) we provided a more high end look for the same budget!